Some people experience excessive flaking (chronic) as a result of certain triggers. Other associated problems are redness, itching and irritation. Caused by Pityrosporum ovale, a yeast like lipophilic fungus and by Candida species. 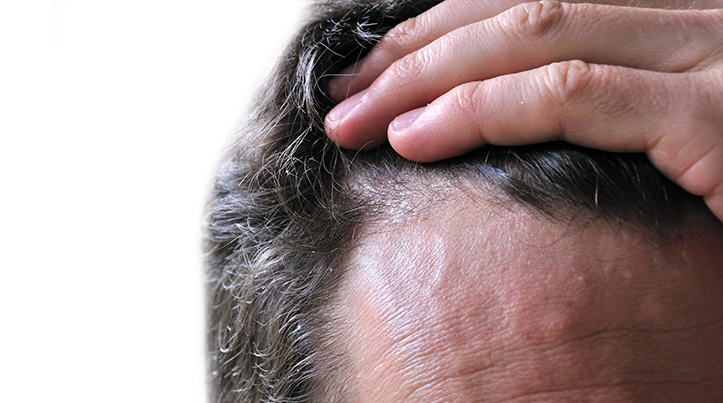 New cells on the scalp are produced at a faster rate than they die resulting in dandruff. Severity of dandruff worsens in winter. Dandruff is a common scalp disorder affecting almost half of the population at the pre-pubertal age and of any gender and ethnicity. Regulates skin cells turnover and desquamation.